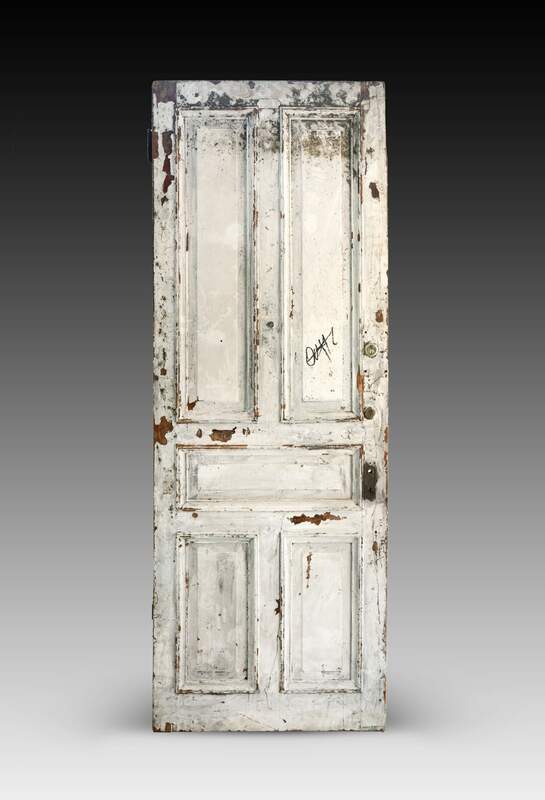 Bob Dylan’s door, which sold for $125,000. NEW YORK CITY — A passionate crowd filled every inch of both the Ricco/Maresca and Flowers galleries on April 12 as Guernsey’s conducted an unprecedented auction of 52 doors removed from New York City’s landmark Chelsea Hotel. A homeless man had rescued the doors from demolition and then spent years researching links between these doors and the iconic people who once had lived behind them. In a selfless gesture, the man pledged half of his proceeds to City Harvest, the nonprofit organization dedicated to feeding those in need. Though well-worn and complete with cracks and chips, the doors clearly reflected on the legacy of the storied Chelsea Hotel, which is currently undergoing an extensive restoration. Following is a sampling of prices Guernsey’s achieved for attributed doors: Bob Dylan, $125,000; Janis Joplin / Leonard Cohen, $106,250; Andy Warhol / Edie Sedgwick, $65,625; Jack Kerouac, $37,500; Madonna/Isabella Rossellini, $16,250; Jimi Hendrix, $16,250; Joni Mitchell, $10,000; Bob Marley, $8,750; Jackson Pollock, $8,750; and an unattributed red door with a striking painted eye, $12,500. The event attracted a vast, international audience as media coverage circled the globe. As repeated applause interrupted the sale, it became clear that at a time of great political divisiveness, this auction touched many hearts. For information, 212-794-2280 or www.guernseys.com.